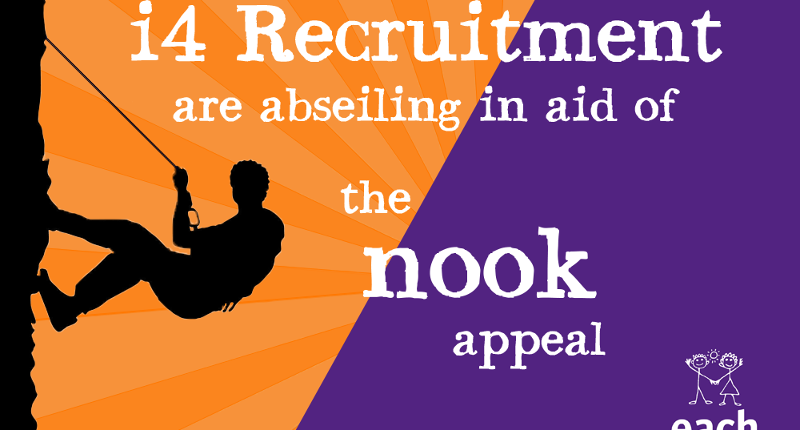 The i4 team are abseiling in aid of EACH Charity this September! If you would like to make a difference and support EACH Charity, we would highly appreciate your generosity by donating –whether the amount be large or small. In addition to the abseil, we are auctioning Norwich City and Manchester United football tickets with all proceedings going to this wonderful charity. Head to our website to begin bidding your voluntary donations for Norwich City and Manchester United. I4 Recruitment has been a supporter of EACH Charity for two years. Over this time we have attended fantastic fundraising networking events and are working towards raising £10,000. East Anglia’s Children’s Hospices (EACH) are dedicated to supporting families and caring for children and young people with life threatening conditions across the East Anglia region. They offer services such as support groups, care at end of life, physiotherapy, and more. In addition to their services, EACH needs £10million to complete The Nook. They are currently at £8,050,000 which has been voluntary donated by hundreds of individuals, businesses and community organisations. Please donate through our Virgin Money Giving page.